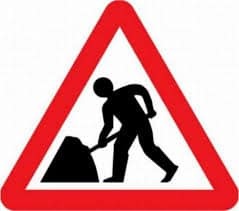 The A709 [from A75 to Catherinefield Road] will be closed from Monday 7 January to Sunday 26 January 2019 due to resurfacing work. Alternative routes are A75[T], A701[T], B7076, and A709. Dumfries and Galloway Council are aware that 7 January is first day of school following the Christmas holiday and won’t shut the road until after the morning school run. The closure means there will be no public access to Lochar Moss Household Waste Recycling Centre. Alternative is Lincluden HWRC.